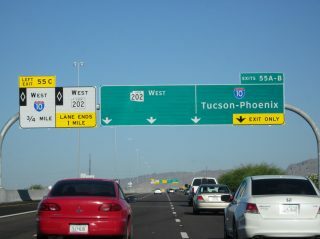 Arizona Loop 202 west at the symmetrical stack interchange with Interstate 10 along the Chandler and Phoenix city line. Photo taken 04/28/12. 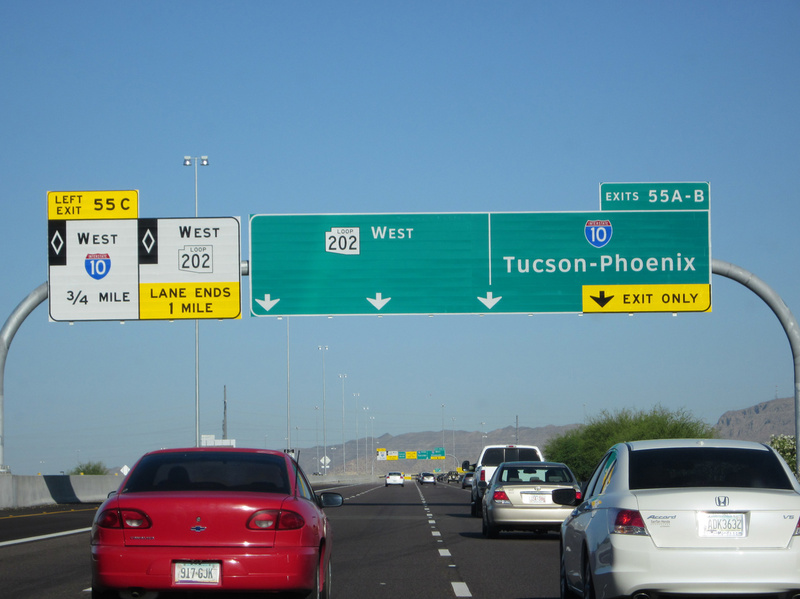 Arizona is one of two lower-48 states without a three-digit Interstate route. The Phoenix area loops (101, 202 and 303) would make logical three-digit loops for I-10 or I-17 but were built with state funds and thus not Interstates. 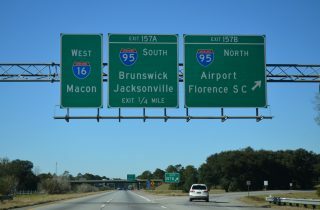 Interstate 16 west at Interstate 95 near Pooler, Georgia. Photo taken 01/03/14. Rural cloverleaf interchanges were once more prevalent at Interstate to Interstate junctions. Weaving traffic patterns and increasing traffic counts led to upgrades of many throughout the system. 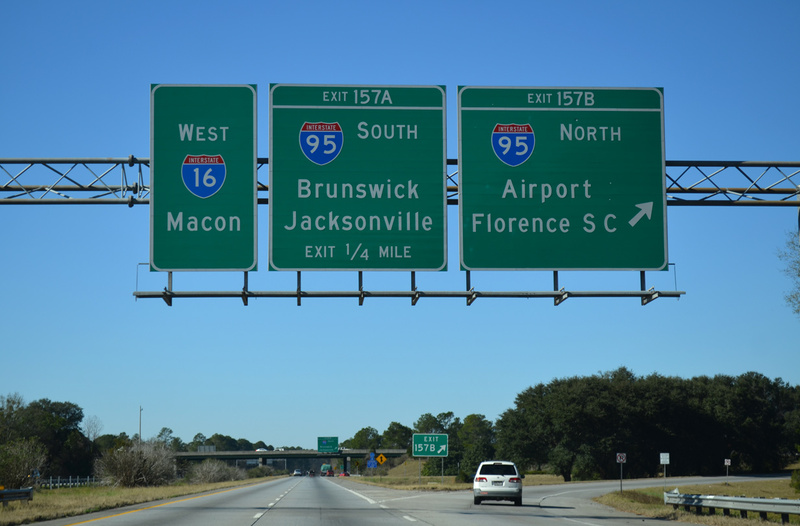 The exchange between I-16 and I-95 is one that remains in its original configuration.